2,000 people march on the Capitol in solidarity with women state- and countrywide. 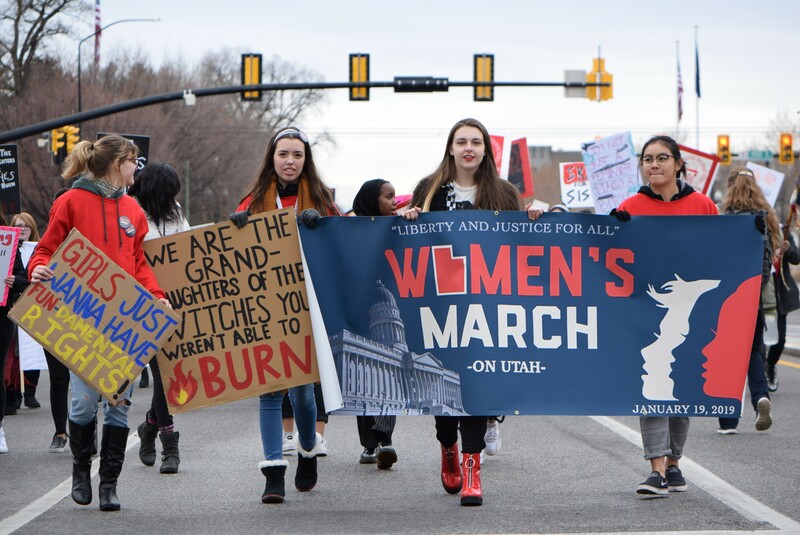 PANDOS members were among the police-estimated 2,000 people who marched through Salt Lake City on Saturday to participate in the national Women’s March. The third one since President Donald Trump took office. Marchers trekked more than a mile uphill, from the City and County building to Capitol Hill to show their commitment to values like wage equality, women’s health and equal representation across career fields. PANDOS members underscored the plague of murdered and indigenous women during Saturday's mach. 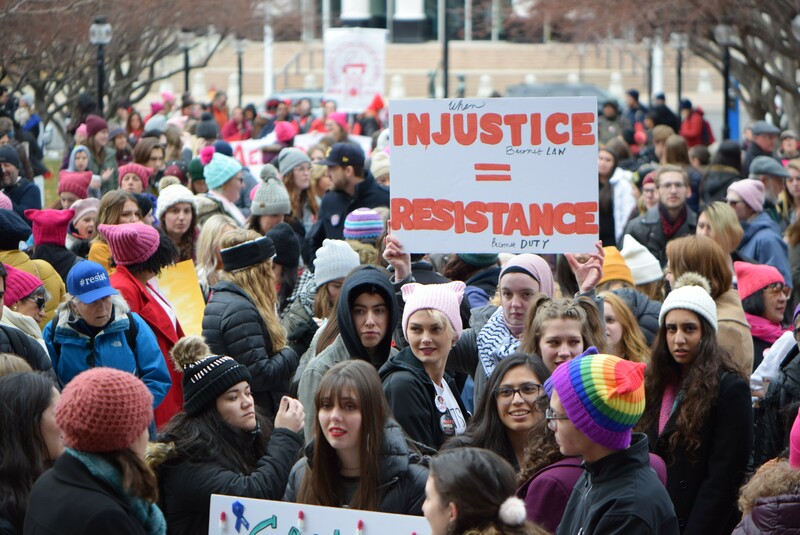 Salt Lake City’s protest was called the “Womxn’s March,” to emphasize inclusivity and respect for the diversity of its participants. 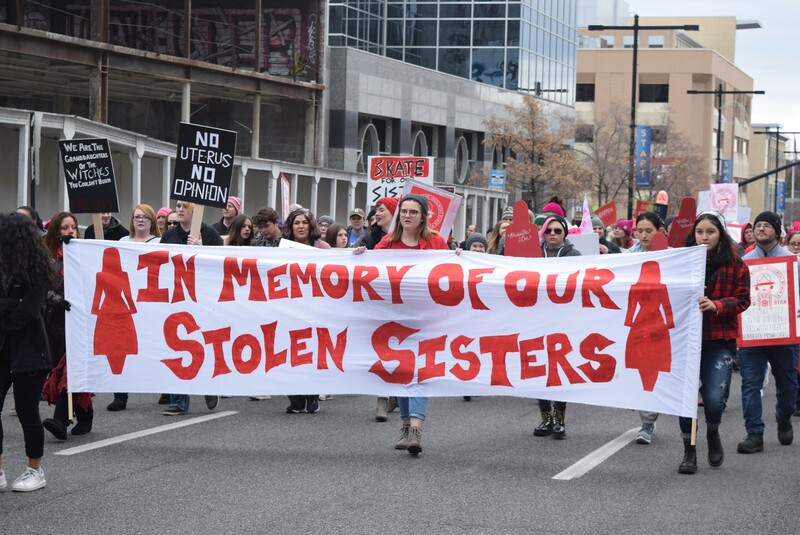 Some critics have accused national march organizers as being anti-Semitic and uninterested in emphasizing intersectional feminism—the philosophy that women’s liberation is connected to liberation and justice for other marginalized communities. People for Unity, a student-led organization at the University of Utah, organized the rally. The speakers came from diverse backgrounds and emphasized a broad range of issues: Saida Dahir, an 18-year-old Somali refugee, poet and local activist, talked about “the struggle of being a black, Muslim woman”; Ermiya Fanaeian, a trans woman, student at the U and one of the founders of Utah’s March for Our Lives chapter, emphasized that each group’s liberation is tied to the liberation of other marginalized groups; Jackie Biskupski, Salt Lake City’s first openly gay mayor, called on the state Legislature to pass the Equal Rights Amendment; Mishka Banuri, a Pakistani-American student activist and community organizer, gave an emotional speech on the importance of representation in movies and television; and Boyce discussed the epidemic of murdered and missing indigenous women within and outside Utah, and her organization’s efforts to engage with local police to address the violence.